I start a brand new network and computer support job tomorrow. I am looking forward to it as it is far more technical than my old job of two and a half years. A great opportunity for me to get into the I.T. industry, especially as it is a major interest of mine and I have qualifications in the area (HNC & Advanced GNVQ). This job involves an earlier start of 8am, even though I only like a short while away from work I’m going to need to get up at 6.30am. This is early for me, I didn’t even know there was a 6.30AM! Still, I am sure I will get used to it and I do finish at 4pm which is earlier than before. Will blog a bit more about it later when I have been there a while. 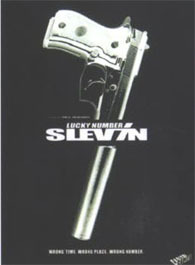 I went to town last night, firstly was dragged to see the egg chasing (rugby) before going to Nandos and then to the cinema to see Lucky Number Slevin. Was very impressed with the film starring Bruce Willis, Morgan Freeman, Sir Ben Kingsley (one of my best actors), Lucky Liu amongst many others. The film is all about a case of mistaken identity where a man ends up in the wrong lace at the wrong time. This leads to him owing large sums of money to violent gangland leaders and performing tasks for them simply to stay alive. There many, many twists throughout the whole film, some of which will really surprise you. I highly recommend this movie, it is the best I have seen since Collateral (back in September 2004). It has a great storyline, is very entertaining, funny and highly original. Great game of football this evening between Chelsea and Barcelona and a fabulous result for Barca, 2-1 victory away from home. The game was fiery from start to finish. Chelsea’s Asier del Horno was sent off for a debatable foul on Lionel Messi, bringing the Londoners down to ten men. Even with the disadvantage, Chelsea still managed to score first in the second half, Thiago Motta scoring an own goal after pressure from John Terry. Barca weren’t behind for long, Ronaldinho’s excellent free kick causing Terry problems who headed the goal into his own net! Barca then turned on the firepower and scored a much deserved winner from Samuel Eto’o. Barca are now in the driving seat, Chelsea have to score 2 goals at the Nou Camp in a fortnight and not conceded to go through. The thing with Barca is that they always look like scoring, they have so much quality. Hopefully this will be enough to put my second team through to the quarter finals. I still refuse to write Chelsea off though, hopefully the Barca players will have the same attitude and not get too complacent. Chelsea have so much quality and can be very dangerous. I watched the Arsenal – Real Madrid match on the telly this evening. Fabulous game of football, was so pleased for Arsene Wenger’s side to win as I have always had a soft spot for them. Hopefully they can take advantage of their aggregate lead and make it through to the quarter finals. Unfortunately Liverpool, the other English team playing in Europe tonight failed to be as successful as their southern counterparts, losing 1-0 away to the Portuguese side Benfica – yes the team that knocked out ManU back in December (Hahaha). There’s always the second leg of this round, hopefully the scousers will be able to turn things around at Anfield. Chelsea play Barcelona tomorrow in arguably the biggest game of the round. 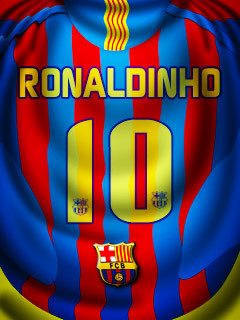 I’m a Barcelona fan, I watch their La Liga games whenever I get chance on Sky. They are a joy to watch and really I hope they win the Champions League. I’ll be donning my Barca shirt and hoping they beat Chelsea tomorrow, wiping that grin of the arrogant face of José Mourinho. C’mon Barca! Was listening to Radio 1 this morning at work, Andi Peters was on the Chris Moyles Show. Andi Peters used to present CBBC in The Broom Cupboard and is surly remembered fondly by anybody who grew up in the 1980s. During the show (which is currently available on the “Listen Again” service) he talked about cult classic TV shows like Around the World in 80 Days and Teenage Mutant Hero Turtles, all favourites of mine when I was about seven. Until today I never knew Mr. Peters was only eighteen years old when the presented the after-school show along with Ed the Duck. Adults and even late teens seem so much older when your very young. Today’s radio feature got me thinking of classic kids TV shows I used to watch and wondered if they were out on DVD. I already have the excellent Round the Twist (as regular visitors to this site will know) but have been desperate for the hilarious Maid Marian to get a release. Well, after a quick search on Play.com I can now reveal that the best children’s comedy ever, Maid Marian and Her Merry Men will be released on a double disc DVD on 20th March 2006. The title has now been pre-ordered and I’ll eagerly await the delivery.